Jose Mourinho gave four youngsters their debut in Sunday's 2-0 win over Crystal Palace in the last game of the season. And after the game, attention was focused towards 16-year-old Angel Gomes and Josh Harrop's debut goal. 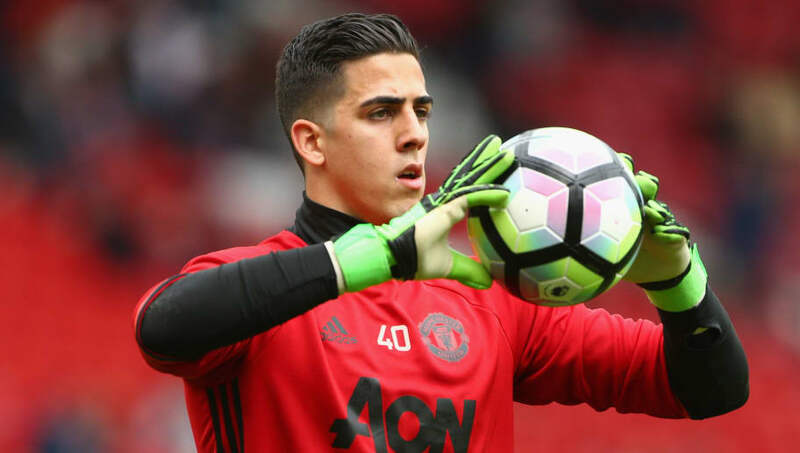 However, the ​Mail report that after his debut, 20-year-old goalkeeper Joel Pereira hopes to have a bigger role next season and one day claim United's number one spot. In relation to becoming the future Man Utd number one, Pereira said: ​"That’s what I want to do most and I will work hard for it. Obviously, I need to be patient. I am a young goalkeeper at one of the top clubs in the world, but my goal is to be the No 1 of United and hopefully I will get there and I will make sure I do that by working hard." The first half of the season saw Pereira go out on loan to Portuguese top tier side Belenenses, where he made eight appearances. However, after the game Pereira suggested he wanted to stay and develop at United next season. He added: "I am happy to stay here. I want to be part of the team, part of the squad and we will see how it goes. We have the (Europa League) final and we have to make sure we win. Then I have the Euros (U-21 European Championships), come back for the pre-season, work hard and give everything. We will see step by step." Pereira will have undoubtedly gained valuable experience from his loan, shown by his good performance and clean sheet on Saturday. However after the game he also wanted to thank his fellow goalkeepers at Man Utd for helping him develop. "We have two world-class goalkeepers and two great people and good friends also," said Pereira. "They always try to help me and to have them as teachers I will say is great. "They always help me and they make sure I improve all the time and get better each day. They told me (before the Palace game) to be confident, enjoy, play as usual as you do all the time and just be yourself." Jose Mourinho has previously described Pereira as "the best Portuguese goalkeeper of the next generation". With constant rumours of David de Gea moving to Real Madrid this summer, Pereira could have an even more important role next season.